Post-theism is not atheism – let’s get that out of the way at the start. To ask about what comes after god is not the same thing as denying the existence of god. But then again, denying the existence of god does not necessarily mean that one is refuting the reality of mystery – or the “real presence” of mystery, as I’ve been naming it in this blog. How I conceive of that mystery – that is to say, how I represent it conceptually, metaphorically and artistically – is different from how I experience it, let’s say, mystically. The experience of mystery transpires below language, as it were, prior to and transcendent of my mind’s ability to name it and give it meaning. This is why the mystics say it is ineffable, undefinable. The Tao that can be named is not the eternal Tao. When you’re a metaphysical non-realist like I am, then post-theism is about more than just asking how god is other or bigger than our representations. It’s inquiring into what comes after our representations of mystery have run their course. Experience begins with mystery, but the mind quickly goes to work making it meaningful by naming it, qualifying it, and then fitting this representation into the long-term construction project of its world. If this outgoing arc can return eventually to the present mystery where it began, then the mind’s world-project stands a chance of keeping current – even meaningfully relevant. But this is not how it typically goes. Instead we get attached to our representation, to our meaning. We get defensive when someone questions it, and we have a history of becoming violent in our ambition to convert others to it. It’s probably natural that we become emotionally invested in our work and its product. After all, mystery is; but we need meaning, or else everything seems – well, meaningless. People have been searching for meaning, living for meaning, dying for meaning, and killing for meaning for many thousands of years. The experience of mystery (or the mystery of experience) prior to meaning is qualitatively different from the experience of mystery after (post) meaning. On the far end of that arc, some of our representations simply fall out of relevance or just plain burn up on reentry. But other representations can start to take on a radiance and become epiphanies of their source. They are at once reminder, symptom and anticipation of what was, is, and is to come. The image of an arc is intended to represent the curve of time, which also suggests a progression through various phases, stages, and incarnations along the way. Some elements don’t advance, but rather remain behind after serving their role. Perhaps they are dis-covered (dug up) later on as curiosities of former ages. One day they will discover god. Our gods are useful. I would even argue that they are developmentally necessary to our evolution as a species. 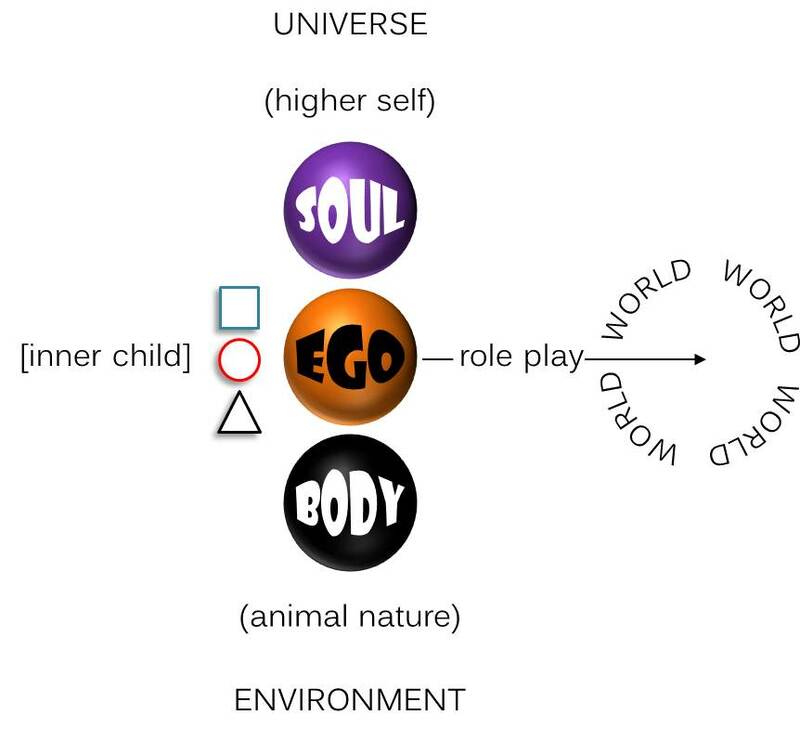 But what happens when a god no longer inspires and awakens our “higher self,” but instead ties us back to our developmentally arrested “inner child”? Our representations of mystery, as they take shape in our myths, iconography, and theological doctrines, have a lot to say about their creators. Wouldn’t it be interesting to know what your god is saying about you? 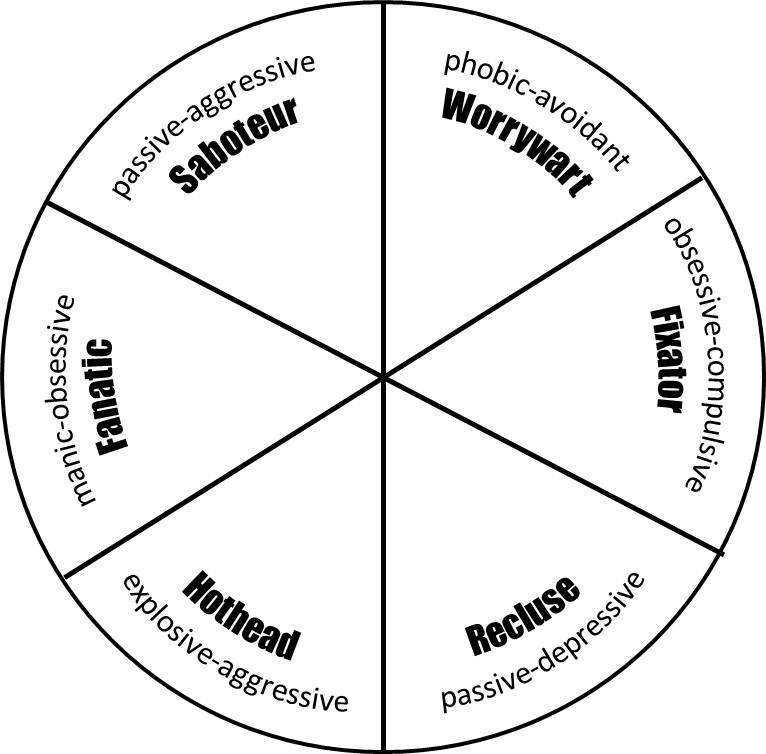 In another blog of mine, I recently introduced the Mandala of Neurotic Styles as a way of understanding what I call our little “grooves of nasty” – those sometimes bizarre behaviors that jump out of us when we get triggered or hooked. How they come about and why they are so damned persistent, are questions I explore in that blog (see Braintracts). 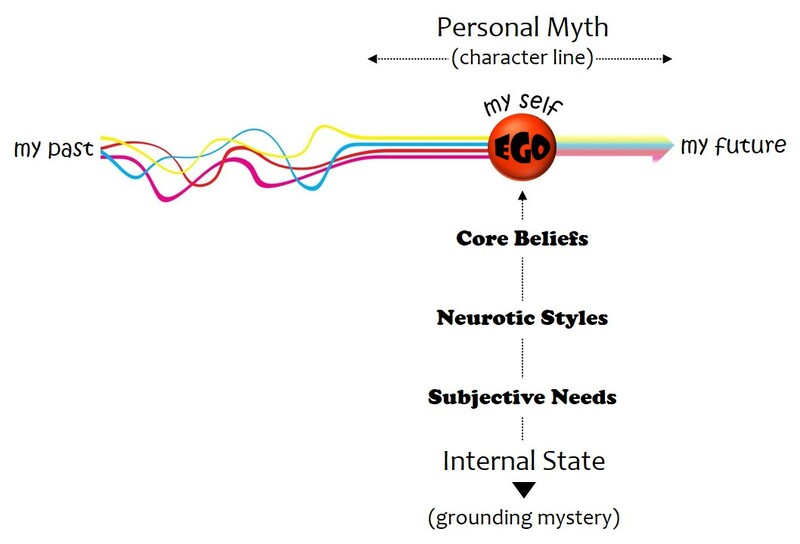 For now, I simply want to use this construct of neurotic styles as a lens for looking at god. Our gods are representations, not the eternal (timeless) mystery itself. They serve a role in our development – several roles, in fact. Deities supervise and explain the universe. They secure our membership in a tribe of true believers and provide us with a sense of purpose. They receive our worship and grant us blessings in return. They authorize the rules of morality and reward our faith and obedience. They also depict the higher virtues like patience, mercy, compassion and forgiveness, that are slowly (even now) coming awake in us. A post-theistic appraisal of this would consider our gods – particularly in the last role just mentioned – as evolutionary ideals of our waking human potential or higher self. We represented god as compassionate, for example, at a time when what we might call “the intelligence of compassion” was beginning to open human consciousness to reality in a way that enabled us to perceive and participate in the suffering of others. To worship a god of compassion is also to elevate (or glorify) the virtue of compassion – holding it up, as it were, as an ideal to pursue, celebrate, and actualize in our own way of life. It remains up there and out there, ahead of us on our evolutionary arc, as long as compassion stays partially dormant and unrealized in ourselves – or is actively suppressed. The god of many Christians today illustrates – in the mythology of the Bible and in their denominational theologies – an explosive-aggressive neurotic style. He can be patient up to a point, but once the line is crossed, you’d better watch out. The much feared “wrath” of god; his outrage over the “sins” of idolatry, sexuality, and unbelief; his tireless vengeance on his enemies – what exactly does this reveal? Since the representation isn’t real – that is to say, since god doesn’t really exist up there or out there – we turn our question to those who made him up. Why are believers still hanging on to this god, this celestial Hothead? Post-theism answers: Because they don’t know what to do with their own anger. They are hooked into a neurotic style of explosive aggression. Just listen to the fiery rhetoric of their religious and political convictions. When in the grip of an explosive-aggressive episode, a Hothead will cast fire upon the earth, curse and condemn all who do not stand with him, turn over tables and smash plates against the wall. If you could interview him at the vent of his fury, he would tell you that it feels good to just let it out. Once upon a time it probably worked to get what he wanted – attention from his mother, influence with his playmates, intimidation of his rivals. After all these years, he still gets hooked from time to time. Frankly, he doesn’t know what else to do with his frustration when things don’t go his way. But don’t challenge him on it. Don’t you dare suggest that violence isn’t a solution. His god will throw you in hell, and that’s for sure.